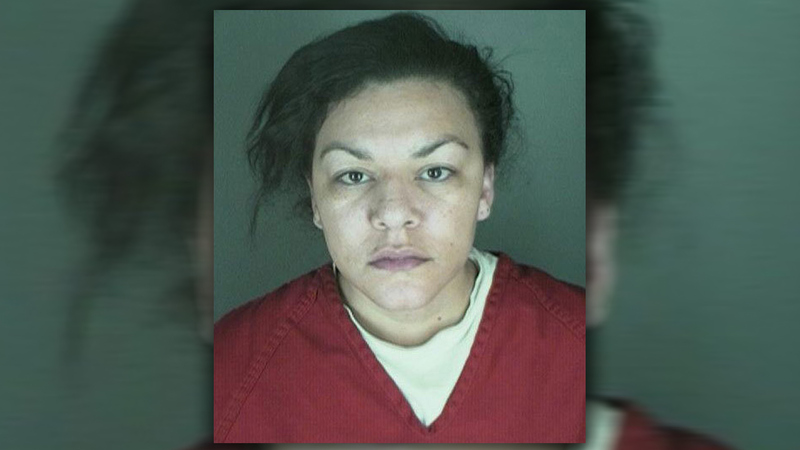 BOULDER, Colorado -- A judge sentenced a Colorado woman who cut a baby from a stranger's womb to 100 years in prison, including the maximum penalties for attempted murder and unlawful termination of a pregnancy. Judge Maria Berkenkotter said the harshest sentences for the most serious charges were justified by the brutality of the 2015 attack, which she described as performing a cesarean with a kitchen knife. Berkenkotter also said the victim, Michelle Wilkins, as well as her family and the community needed Dynel Lane, 36, to express remorse. Lane murmured a "no" when the judge asked if she wanted to speak Friday. Lane also did not speak in her defense during her trial, which ended in February when jurors found her guilty of attempting to kill Wilkins after luring her victim to her home with an ad for maternity clothes. Jurors had heard that Lane went to elaborate lengths to feign her own pregnancy before attacking Wilkins. They did not hear that in 2002, Lane's 19-month-old son drowned in what investigators ruled was an accident. Relatives who spoke on Lane's behalf before the sentencing Friday said her remorse over losing her son may have led her to take an action they could not understand or explain. Lane's attorneys did not dispute that she attacked Wilkins, but they argued there was no evidence it was a calculated murder attempt. They urged jurors to convict Lane of the lesser charge of attempted manslaughter. Berkenkotter sentenced Lane to 48 years for attempted murder and 32 years for unlawful termination of a pregnancy. The remainder of her sentence was for assault charges in the attack. She was given credit for the more than a year she has served since her arrest. Kathryn Herold, the public defender representing Lane, told the judge Friday she would appeal and that Lane had the right not to speak. Berkenkotter acknowledged that was Lane's constitutional right. But the judge said that in weighing her sentence she had to take into account that "people are hungry to hear from you, Miss Lane. Hungry, desperate to hear you express genuine remorse from the bottom of your heart." Prosecutors said they were unable to charge Lane with murdering Wilkins' unborn girl because a coroner found no evidence the fetus lived outside the womb. That led Colorado Republicans to introduce legislation that would have allowed a murder charge. Democrats rejected the measure, the third time such a proposal failed in Colorado. Over the objection of abortion-rights supporters, 38 states have made a fetus' killing a homicide. Wilkins focused on her unborn daughter Friday. She placed a large photograph of her dead baby, who appeared to be sleeping, on an easel next to the witness stand, then asked Berkenkotter to impose the harshest possible sentence. Wilkins said after the sentencing that she saw the hearing as a day in court for her daughter, who she named Aurora. "Judge Berkenkotter was clearly listening to everything that we were saying," Wilkins told reporters, adding she felt justice had been served. In court, Wilkins had directed her words to Lane, who sat straight and showed no emotion as her victim spoke. Lane cried later in the hearing when a letter from one of her two daughters expressing love was read. Lane's mother apologized in court to Wilkins and her family, as did her father in a letter his wife read. Lane had posted online photos of herself with a distended belly and sent the man she said was the father of her child ultrasound images downloaded from the Internet. David Ridley, who lived with Lane and her two daughters, testified at trial that Lane claimed for more than a year that she was expecting a boy, whom they planned to name James. Friends even threw a baby shower. Ridley had grown suspicious by the time Lane lured Wilkins to her Longmont home. Wilkins testified they chatted for about an hour before Lane hit, pushed and tried to choke her, then used two kitchen knives to cut the baby from her womb. When Ridley came home early from work that day to meet Lane for a doctor's appointment, he said he found the fetus in a bathtub and drove the child and Lane to a hospital, where she begged staff to save her baby. Lane said nothing to Ridley about Wilkins, who was unconscious at her home. Wilkins regained consciousness and called police.